Today’s Friday Stat-Day entry No. 1 comes in honor of St. Patrick’s Day revelries and looks at the comparative taxes paid by distilleries across the U.S. Data for the map comes from the Distilled Spirits Council of the United States; the map itself was produced by the Tax Foundation. 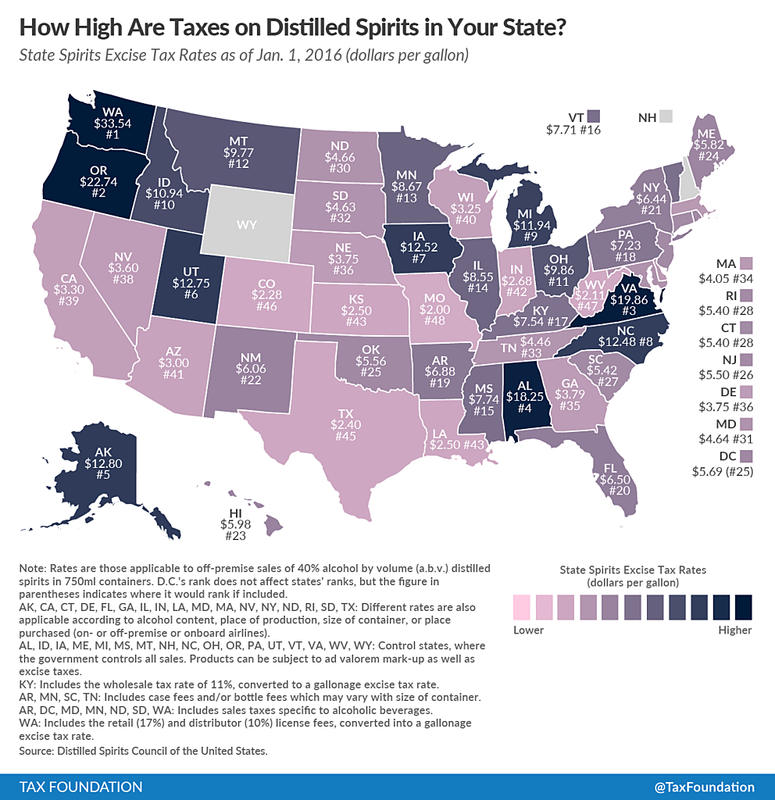 Washington has America’s highest spirit excise tax rate at $33.54 per gallon, followed by Oregon ($22.74), Virginia ($19.86), Alabama ($18.25), and Alaska ($12.80). Tax rates in Wyoming and New Hampshire are the lowest, where government liquor stores rely on ad-valorem markups rather than taxes. Montana comes in at No. 12, with its $9.77 per gallon spirit excise tax.